We’ll also revisit the year 536 and puzzle over a surprisingly expensive trip. In 1872 Celia Thaxter published an unsettling poem about an iceberg. In 193 the Praetorian Guard auctioned off the Roman empire. Paul Brickhill, Reach for the Sky, 1954. S.P. Mackenzie, Bader’s War, 2008. Andy Saunders, Bader’s Last Fight, 2007. Joel Ralph, “Their Finest Hour,” Canada’s History 95:6 (December 2015/January 2016), 22-31. Paul Laib, “Bader, Sir Douglas Robert Steuart,” Oxford Dictionary of National Biography, May 19, 2011. A.W.G. English, “Psychology of Limb Loss,” BMJ: British Medical Journal 299:6710 (Nov. 18, 1989), 1287. “Obituary,” Journal of the Royal Society of Arts 130:5315 (October 1982), 750-751. Neil Tweedie, “Tribute to a Very British Hero,” Daily Telegraph, Aug. 10, 2001, 10. “Reaching for the Sky: Lady Bader Unveils Statue in Honour of Sir Douglas,” Birmingham Post, Aug. 10, 2001, 6. “Who Really Shot Down Douglas Bader?” Daily Telegraph, Aug. 9, 2001, 23. Arifa Akbar, “In Memory of a Legendary Hero,” [Darlington, UK] Northern Echo, Aug. 8, 2001, 8. 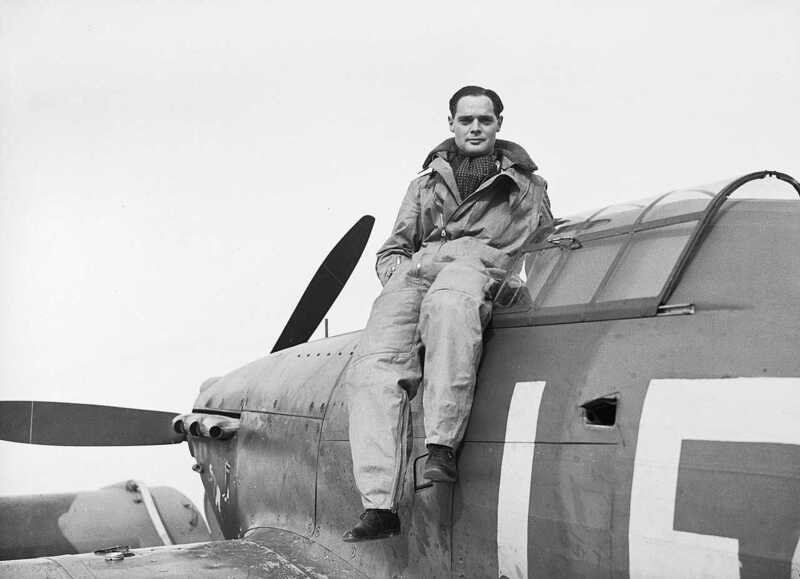 “Sir Douglas Bader, Legless RAF Ace Who Shot Down 22 German Planes,” Associated Press, Sept. 6, 1982, 1. “Sir Douglas Bader, World War II Ace,” Associated Press, Sept. 5, 1982. Herbert Mitgang, “He Fought Sitting Down,” New York Times, Nov. 17, 1957. “Legless British Pilot to Aid Veterans Here,” New York Times, May 7, 1947. “Legless Air Hero Enters British Title Golf Event,” New York Times, April 5, 1946. “Legless RAF Ace Honored,” New York Times, Nov. 28, 1945. “Bader, Legless RAF Flier, Freed by Yanks in Reich,” New York Times, April 19, 1945. “Germans Recapture Flier Bader As He Tries Out Those New Legs; Bader Is Caught Trying to Escape,” New York Times, Sept. 29, 1941. “Bader Gets New Artificial Leg, But Escape Attempt Fails,” [Washington D.C.] Evening Star, Sept. 29, 1941 A-4. “Legless Pilot Honored; Bader, Now War Prisoner, Gets Bar to Flying Cross,” New York Times, Sept. 5, 1941. “Epic of Bader’s Leg,” New York Times, Aug. 21, 1941. “R.A.F., on Sweep, Drops Artificial Leg for Bader,” New York Times, Aug. 20, 1941. “Bader Is Nazi Prisoner; Legless R.A.F. Ace Safe After Parachuting in France,” New York Times, Aug. 15, 1941. “Bader, Legless R.A.F. Ace, Reported Missing,” New York Times, Aug. 13, 1941. “Two British Air Force Aces, One Legless, Reported Missing,” [Washington D.C.] Evening Star, Aug. 12, 1941, A-18. “10 Leading R.A.F. Aces Listed for Exploits,” New York Times, Jan. 10, 1941. Bader with Flight Lieutenant Eric Ball and Pilot Officer Willie McKnight of No. 242 Squadron, Duxford, October 1940. 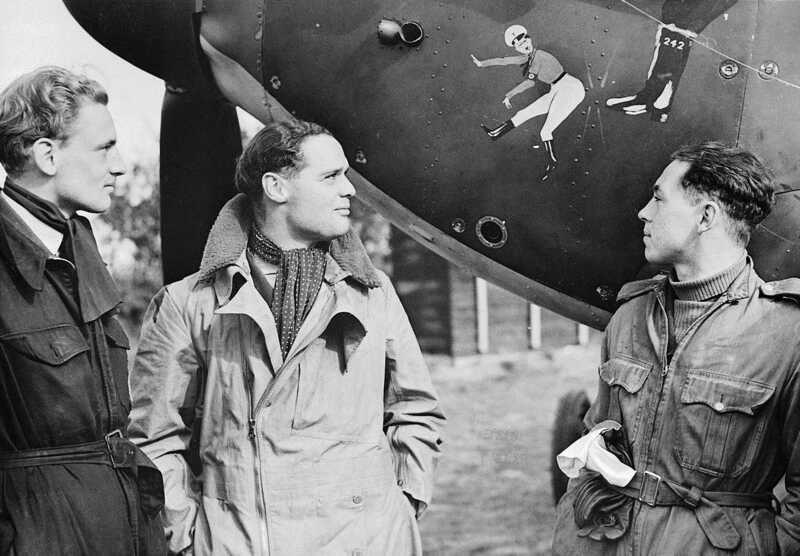 Bader himself designed the squadron’s emblem, a boot kicking Hitler in the breeches. Wikipedia, “Settlement of Iceland” (accessed Jan. 4, 2019). Wikipedia, “History of Iceland” (accessed Jan. 4, 2019). Wikipedia, “Papar” (accessed Jan. 4, 2019). Encyclopedia.com, “The Discovery and Settlement of Iceland” (accessed Jan. 4, 2019). Neil Schlager, Science and Its Times: Understanding the Social Significance of Scientific Discovery, 2001. Wikipedia, “Thule” (accessed Jan. 4, 2019). Wikipedia, “(486958) 2014 MU69” (accessed Jan. 4, 2019). NASA, “New Horizons Chooses Nickname for ‘Ultimate’ Flyby Target,” March 13, 2018. “Is This the Reason Ireland Converted to Christianity?,” Smithsonian Channel, June 26, 2014. Mike Wall, “How Halley’s Comet Is Linked to a Famine 1,500 Years Ago,” NBC News, Dec. 19 2013. Colin Barras, “The Year of Darkness,” New Scientist 221:2952 (2014), 34-38. This week’s lateral thinking puzzle was contributed by listener Jeff King.